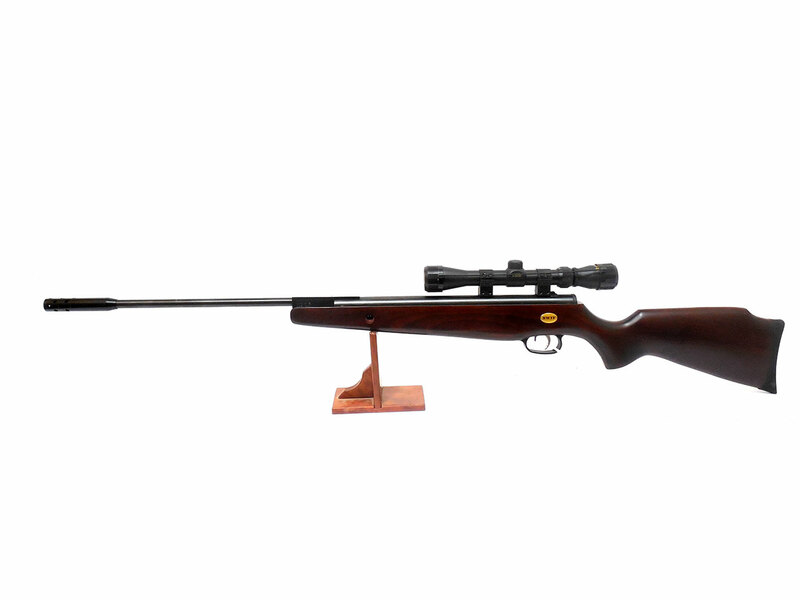 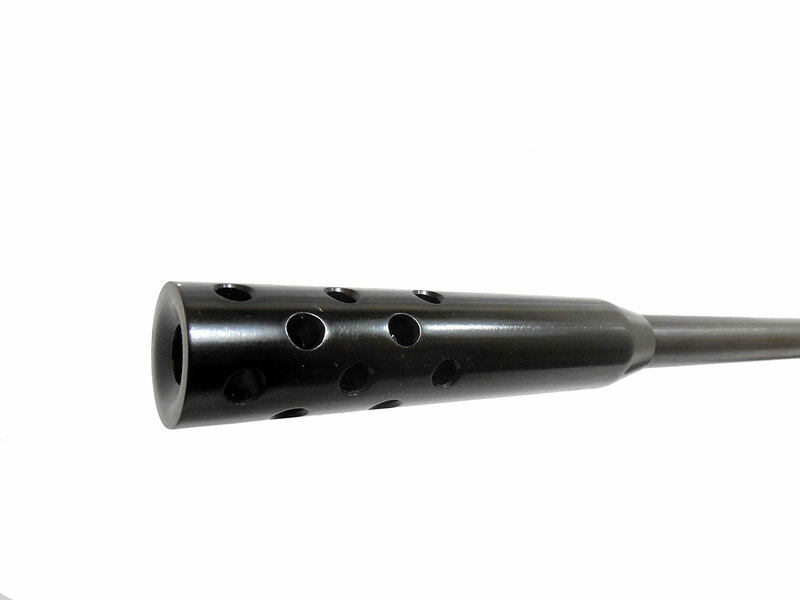 The Beeman RS2 is a .22 caliber, single shot break barrel air rifle with a one piece hardwood stock and forearm. 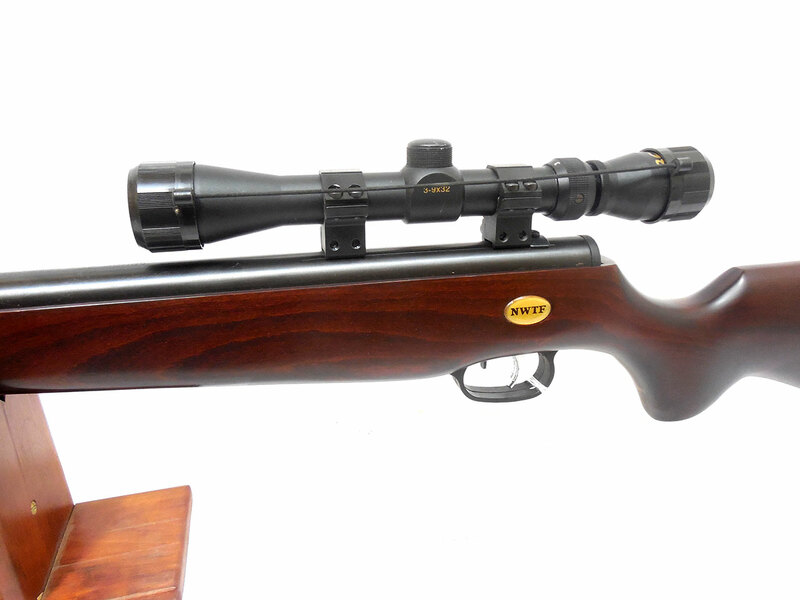 This is a NWTF version (National Wild Turkey Federation) of the Rs2. 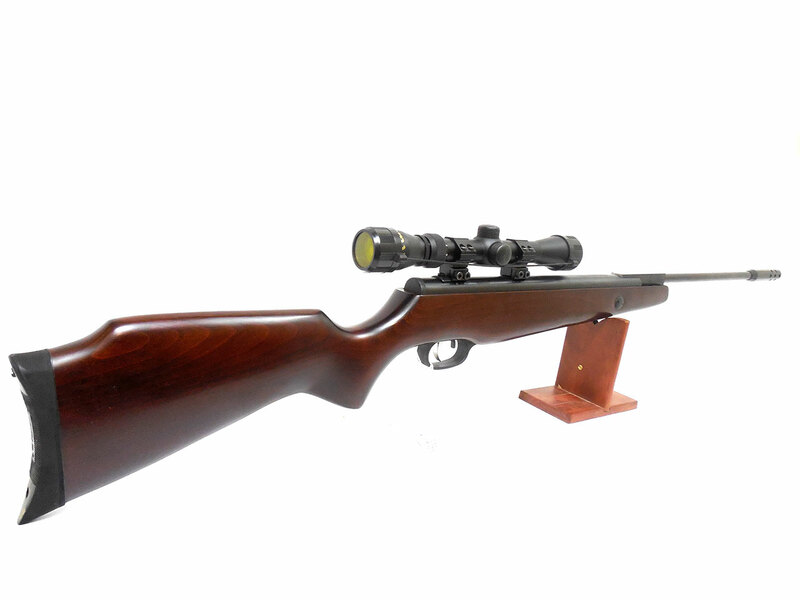 The metal on this gun retains about 90% of its original finish, and the stock and forearm are in good shape as well with only a few minor blemishes. 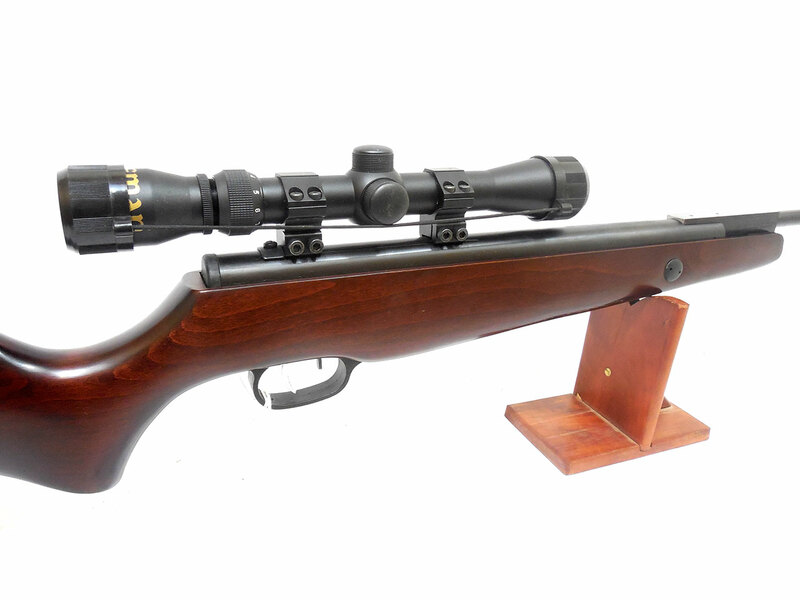 It also has a Beeman 3x9x32 scope, and a moderator on the muzzle. 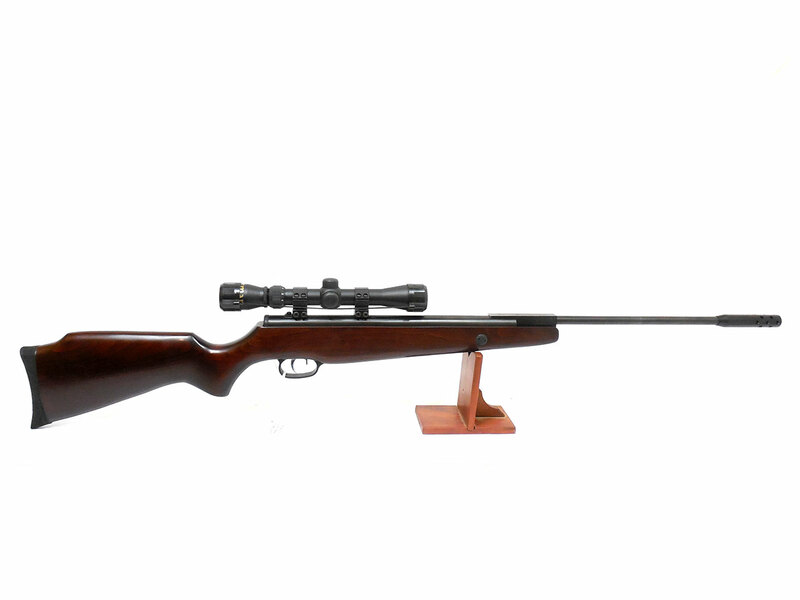 This gun’s velocity was tested in our shop at 705 fps using lead pellets.